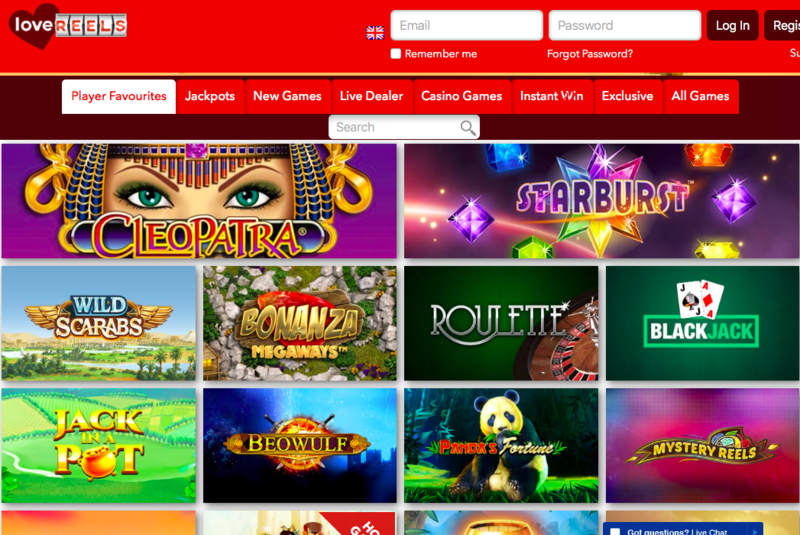 There has been the occasional sign of progress from prolific online casino operator Nektan as of late, with the odd site actually feeling different from its siblings, which is, somewhat depressingly, all it takes to feel like Nektan are moving forward. However, old habits die hard, and Love Reels is proof that Nektan still have a pretty long way to go, because this, from the outset, feels like more of the same. The problem with Nektan casinos has always been that they are nigh on identical, in terms of layout and content there is nothing to tell any of them apart, which means it all comes down to the design and theme of each site, and there’s very rarely anything within that to make any offering from the operator feel special. There may, possibly, have been a time when the bare minimum was enough, but over the last decade or two the iGaming world has gone from a niche market to one of the biggest and fastest growing industries in the world, meaning any new site has to battle it out, not only with the established giants of the industry, but also with the ten other plus new online casinos that join the market every month. When a site doesn’t even stand out from others on its own network, that doesn’t seem likely here, and that’s the issue Love Reels has. As the name suggests, love is the theme here, at least, we assume it is, there’s a heart in the logo behind the word ‘Love’, while slot reels stand behind the word ‘Reels’. It would be entirely reasonable for you to expect more information here, but there isn’t any, short of a red colour scheme that lasts until just under the top banner, there’s nothing else to bring the theme to life here. Once you are past that red colour scheme, everything kind of stops in terms of original design, which is very much the nature of Nektan sites. From thereon, you have nothing but a white background, this stands behind numerous thumbnails that allow instant access to popular games, and do a fair job of creating a design of their own, but all that really does is draw attention to how lacklustre the Love Reels design scheme is. These thumbnails, to add an extra disappointment, are in the exact same order as they are at multiple other Nektan sites, and that, again, stops Love Reels from feeling in any way original. Nektan don’t let players down when it comes to the games on offer. If it wasn’t the same selection at every site, then it might even be enough to save Love Reels after the disappointment of the rest of the casino. However, that is not the case, because while titles coming from 1X2 Network, Betdigital, Big Time Gaming, Blueprint Gaming, Core Gaming, edict egaming, ELK Studios, Evolution, Extreme Live Gaming, Eyecon, Gamevy, IGT, IWG, NetEnt, NextGen Gaming, Pragmatic Play, Microgaming, Realistic Games, Red Tiger Gaming, SG Digital, SG Gaming, Williams Interactive, and Yggdrasil, as well as proprietary Nektan software, we’ve seen it all before, so many times that it’s impossible to get excited about by this point. 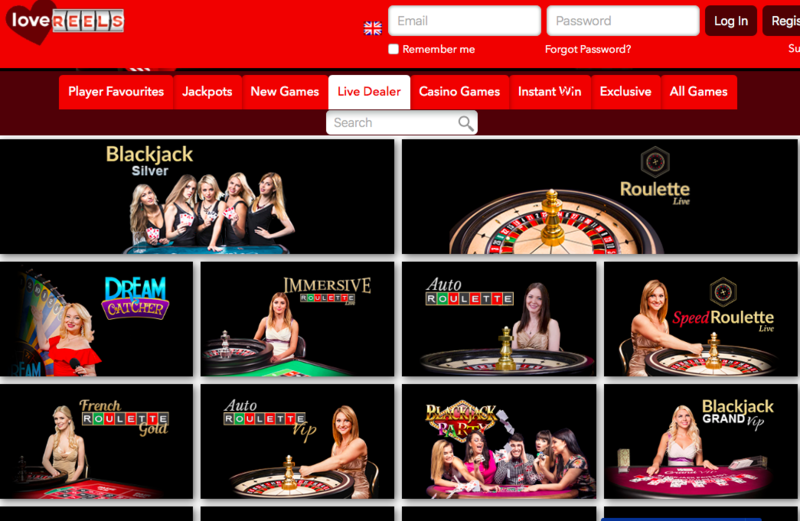 If you’re new to the online casino world, then Love Reels is as good as any other site on the network with a strong collection of slots, table games, live dealer titles, instant wins, and more. But for more experienced players, who are looking for more than just games, and who have probably come across a Nektan site before, there’s nothing fresh or new to be found here.